Kiss the cold weather goodbye and watch Philadelphia come alive with an exciting lineup of fun things to do this spring. From outdoor festivals to food-focused celebrations, discover all the local fun during your spring stay at The Rittenhouse. Read on for our top picks of things to do in Philadelphia this spring. Indulge your taste buds in the eight delectable days of Philly Wine Week. Sip and savor a range of diverse flavors and blends curated by some of the best wine-focused Philadelphia bars and restaurants. Held during the first week of April, you won’t want to miss out on this annual celebration of vino-culture, featuring a variety of events held throughout the city. 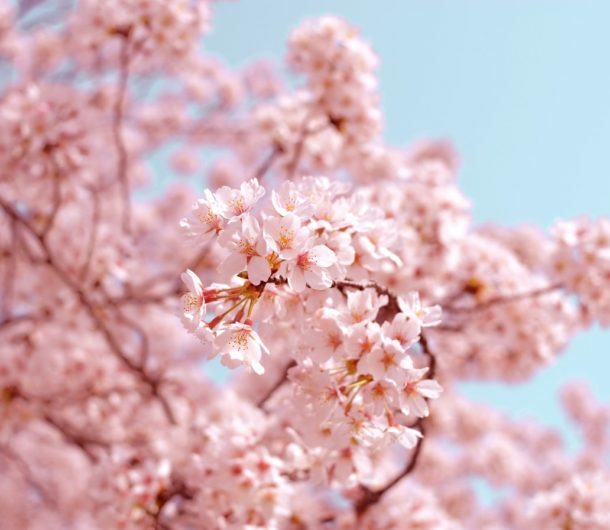 Officially known as the Subaru Cherry Blossom Festival, this local festival is a celebration of spring as well as the culture and cuisine of Japan. The festival takes place in the Fairmount Park Horticulture Center where there will be a blooming forest of breathtaking cherry blossom – or sakura – trees. The trees in the park were originally given to the city of Philadelphia as a gift from Japan in 1926 and have been a highlight of the spring season ever since. Experience 125 years of Pennsylvania history at the annual Penn Relays event. The world’s first annual relay meet, The Penn Relays draw massive crowds of up to 100,000 at University of Pennsylvania’s Franklin Field. Athletes from around the world gather to compete in the historic three-day event. Spectators will enjoy a range of food, souvenirs, and fun entertainment. Get the whole family together for nine days of educational, science-filled fun at the 2019 Philadelphia Science Festival. The week-long event will feature a variety of science-themed programs and events including lectures, debates, activities, exhibitions and more. The festival culminates in the Science Carnival on the Parkway and will showcase dynamic demonstrations, geeky games, and more. Dive fork first into the eclectic dining scene of East Passyunk Avenue during the Flavors on the Avenue food festival. A local favorite spring event, Flavors on the Avenue gathers the best restaurants in the neighborhood for a day of delicious fun. This outdoor event will showcase vendors like Bing Bing Dim Sum, Laurel, Le Virtu, as well as goods from local shops.